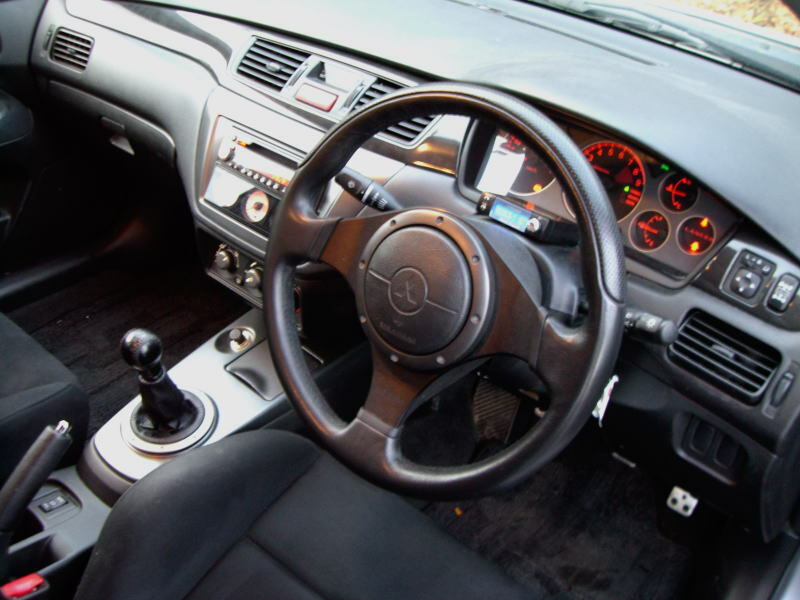 mitsubishi Lancer Evolution CT9A specifications - J's Garage Export Co., Ltd.
2001.01 : Mitsubishi announced the release of the Lancer Evolution VII. 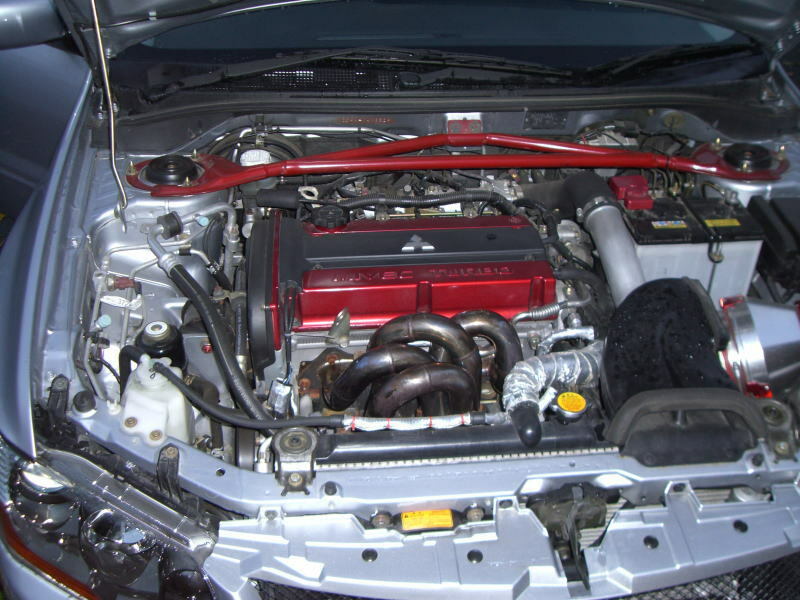 The Lancer Evolution VII is powered by the improved 4G63 2.0 liter intercooler-turbocharged engine that makes 280 horsepower and 39.0kg-m of torque. The Lancer Evolution VII retains Active Yaw Control (AYC), and is fitted with a newly developed Active Center Differential (ACD). Torsional stiffness is 50% greater than in its predecessor. 2002.01 : The Lancer Evolution VII GT-A, the first automatic transmission model in the Lancer Evolution series, was introduced. The Lancer Evolution VII GT-A, based on the Evolution VII GSR, uses the INVECS-II Sport-Mode 5-speed automatic transmission. 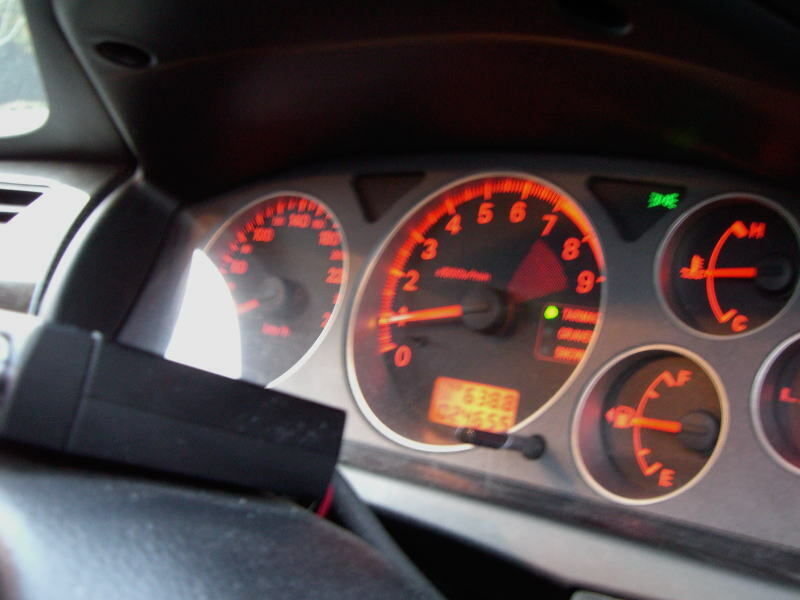 Sport-Mode enables the driver to shift through the gears using either the manual gate or thumb-operated selectors located on the steering wheel. 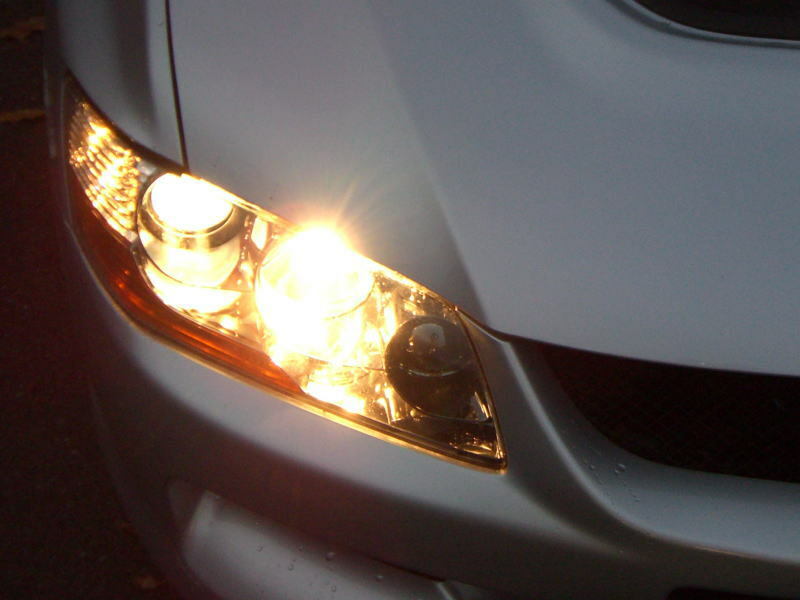 The main features of the Lancer Evolution VII GT-A are a flat engine hood, a small rear spoiler, and Multi-lamp HID headlights. 2003.01 : Mitsubishi announced the release of the Lancer Evolution VIII sports sedan in Japan on January 31. The improved 2.0 liter DOHC twin-scroll turbocharged 4G63 engine makes 280 horsepower and 40.0kg-m of torque. The Lancer Evolution 8 adopts a 6 speed close-ratio gearbox to maximally utilize the engine's outstanding power and torque characteristics. And the newly developed Super AYC and ACD offer significant improvements in cornering and traction performance. The Lancer Evolution VIII is equipped with the new-design front bumper, the engine under cover, and an all carbon rear spoiler. 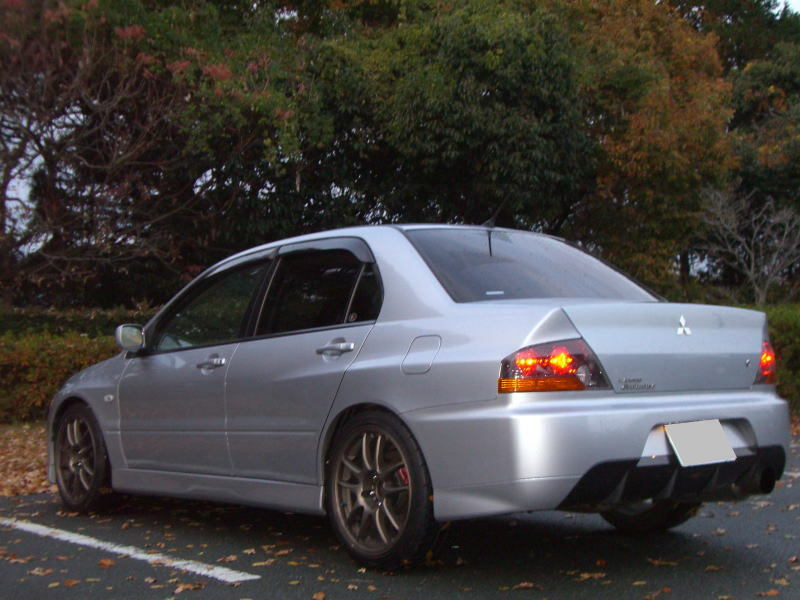 2004.02 : The Lancer Evolution VIII MR is introduced. The features of the Lancer Evolution 8 MR are a lightweight roof panel, Bilstein shock absorbers, BBS forged alloy wheels. 2005.03 : The Lancer Evolution IX was introduced. The 4G63 engine adopts MIVEC ( Mitsubishi Innovative Valve timing Electronic Control system) in the intake system to improve fuel efficiency, and has improved the turbocharger to achieve the higher torque. The Lancer Evolution IX line-up includes : The flagship GSR grade features ACD + Super AYC + Sports ABS electronically controlled all-wheel control component system and a 6-speed manual gearbox. The motorsport-specification RS uses a special lightweight body, a new titanium-magnesium turbocharger, 5-speed gearbox and ACD + mechanical rear LSD all-wheel control. And the GT grade that brings together RS's turbocharger and drivetrain specification and GSR's comfortable-body with its enhanced sound deadening. 2005. 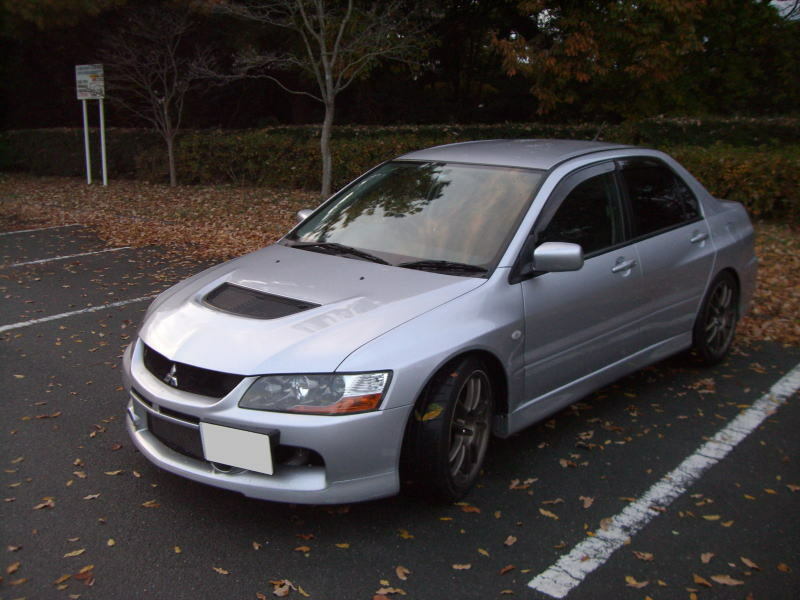 09 : The Lancer Evolution Wagon was introduced. The Evolution Wagon line-up includes the GT model with a 4G63 MIVEC intercooler turbo engine that makes 280 horsepower and 6 speed manual transmission, and the GT-A model with a 4G63 intercooler turbocharged engine that makes 272 horsepower and 5 speed automatic transmission. 2006.08 : Mitsubishi announced that the Lancer Evolution IX MR high-performance 4WD sports sedan and the Lancer Evolution Wagon MR high-performance 4WD sports wagon go on sale. The Lancer Evolution IX MR is available in two grades: the GSR with a 6-speed manual gearbox and the RS with a 5-speed manual gearbox which is stripped down for motorsport competition. The Lancer Evolution Wagon MR also has two grades. The GT is equipped with a 6-speed manual gearbox and the GT-A with a 5-speed automatic gearbox. 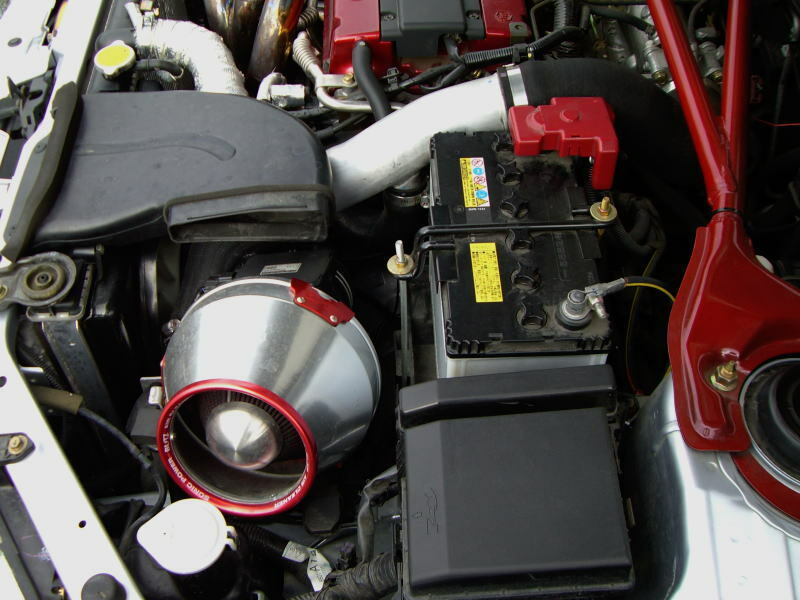 They are the last models to use the 4G63 2L DOHC intercooled turbo engine.